Loss of sleep keeping the kids in bed until after Santa comes . . . dealing with weird uncle Larry at Christmas dinner . . . . opening an insane amount of gifts or even if you are just chillin’ and taking in the deeper meaning of Christmas and what it means in your life. 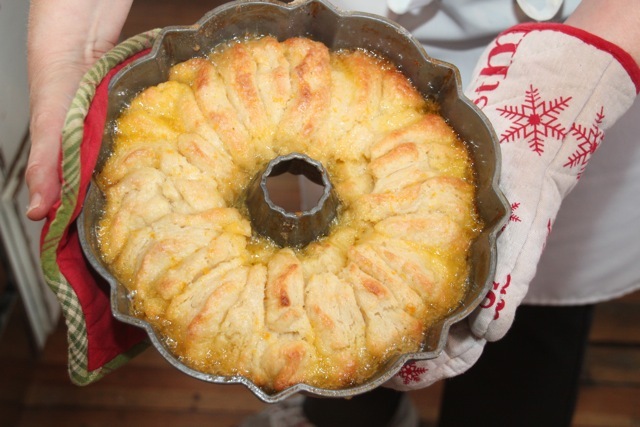 Any way you cut it, my Tangerine Biscuit Ring will give you the nourishment you will need for the tough Christmas Day ahead! 1. Preheat oven to 350 degrees f. grease a 10-inch fluted tube pan; set aside. 2. In a small bowl, combine sugar and tangerine peel, breaking up any tangerine peel clumps with a fork. In another small bowl, combine tangerine juice and melted butter. 3. Separate biscuits. dip each biscuit into the tangerine juice mixture, then roll in the sugar mixture to coat. Place biscuits on edge in the prepared pan. 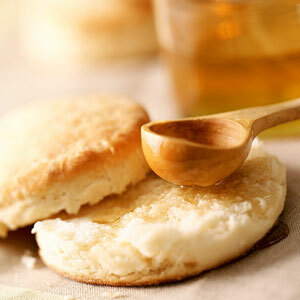 Pour any remaining tangerine juice mixture over biscuits. 4. Bake for 35 to 40 minutes or until top is golden brown. Cool in pan on a wire rack for 1 minute. Invert pan onto a serving platter with slightly raised sides; remove pan. Cool for 30 to 45 minutes. serve warm. 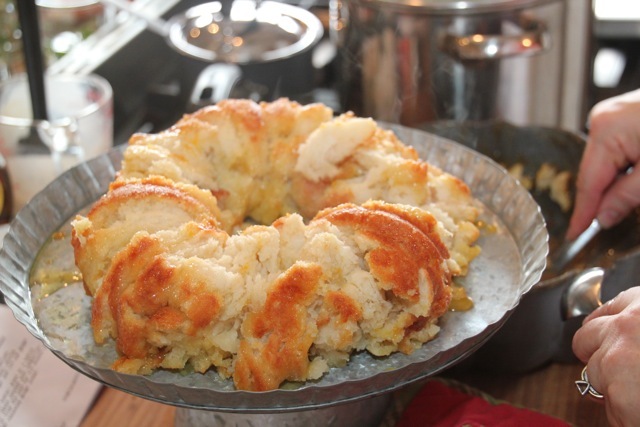 If desired, garnish center of biscuit ring with kumquats, cranberries, and fresh herbs. 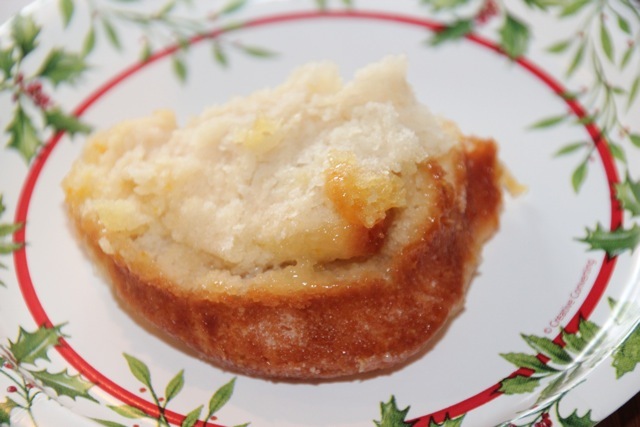 This recipe can also be made using oranges instead of tangerines. In choosing lard or shortening, be sure to use non-hydrogenated products. Butter may be substituted. Dissolve yeast in lukewarm water with a pinch of sugar. Stir in the buttermilk, making sure it has first been warmed to room temperature so as not to shock the yeast. Stir all ingredients together to mix well. Using your fingers, two knives or a pastry blender, work 1/2 the chilled shortening into the flour mixture until it resembles coarse meal. Work in the remaining shortening until it resembles large peas. Stir buttermilk and yeast mixture into the dry ingredients until just blended; do not overmix. On a clean surface dusted lightly with flour, turn out dough and knead 6 to 8 times, patting together lightly into a flattened circle. Roll circle out 1/2 to 3/4 inch thick and cut using a floured glass or a 3 inch biscuit cutter. Dip in flour between each cut. Arrange biscuits on a lightly greased baking sheet; leave 1/3 inch between for softer sided biscuits or 1 inch for more crisp sided biscuits. Brush with melted butter before serving. This dough can be refrigerated for 3-5 days, or frozen for up to a month. I wish you a very Merry Christmas and a super holiday season! In January, we will be starting the year with our “Start the Year Healthy” Cooking Classes at The Lark Inn. Check our Website to learn more about upcoming classes. This entry was posted on December 24, 2012, 6:44 am and is filed under Cooking and Baking. You can follow any responses to this entry through RSS 2.0. You can leave a response, or trackback from your own site.